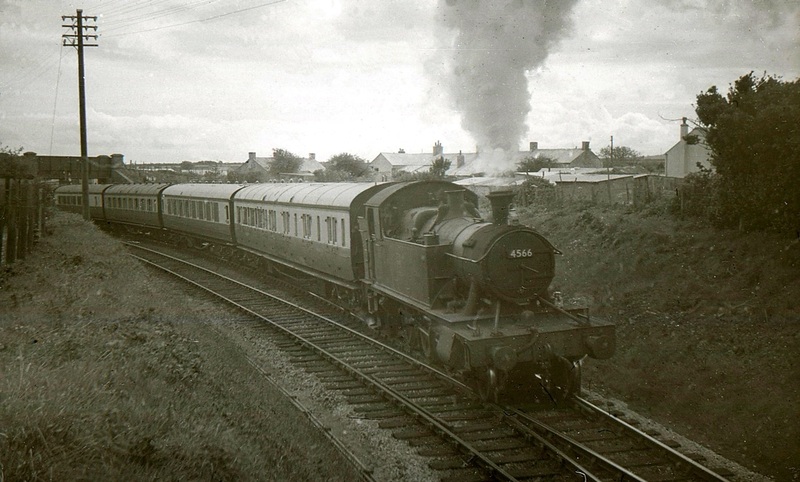 The Helston Branch was opened by the Helston Railway Company in 1887 as a standard gauge branch from the main line to Helston, with the intention of extending to the Lizard, although this was never done. 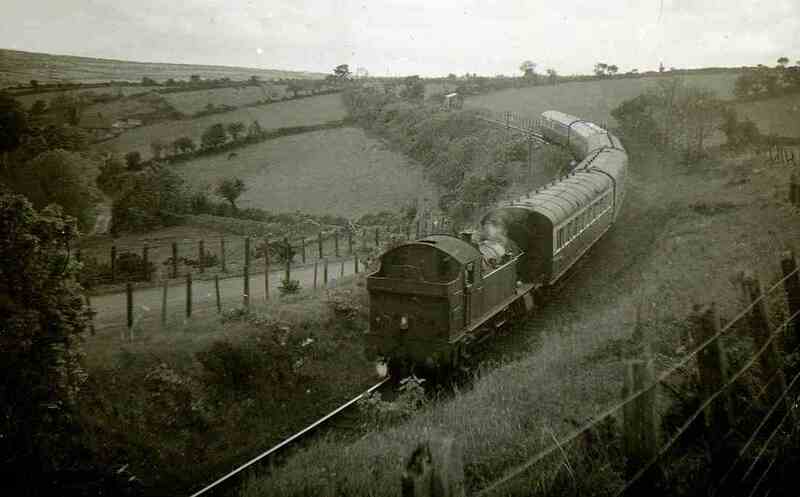 The line specialised in transportation of broccoli (known as cauliflower in the rest of the UK) and also ran a lively passenger service to the main line at Gwinear Road. 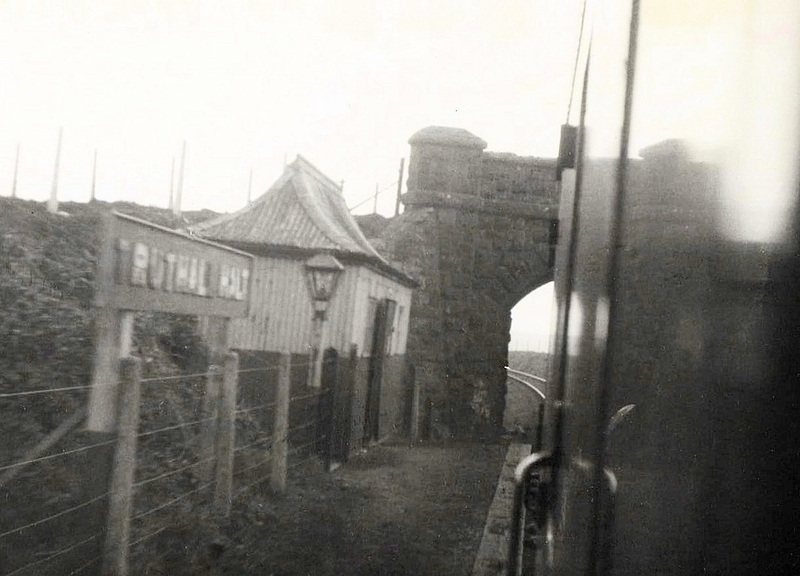 Unfortunately the branch closed in 1962 and the only visible remains are the Goods Shed (now a hall within a sheltered housing complex) and part of the platform. Three useful books have been written, of which two are still in print (see References). The author of this website has researched the private owner wagons of the Helston Gas Company, the only ones known to have been associated with the branch. 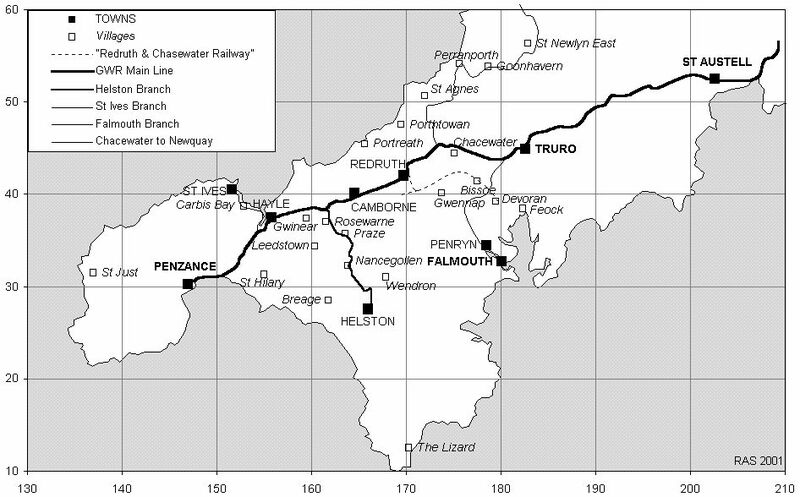 His ‘O’ Gauge model railway incorporates Helston station and also a fictitious station called Rosewarne Junction (see map below, copyright: Robert Smith) from where a short branch to Leedstown might have been built. 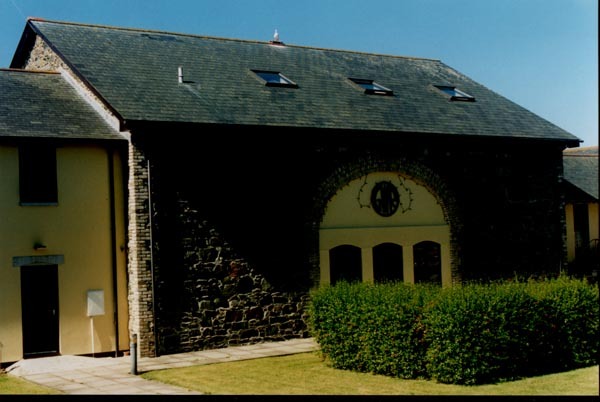 Goods Shed (now a hall in a sheltered housing complex). Copyright: Robert Smith. 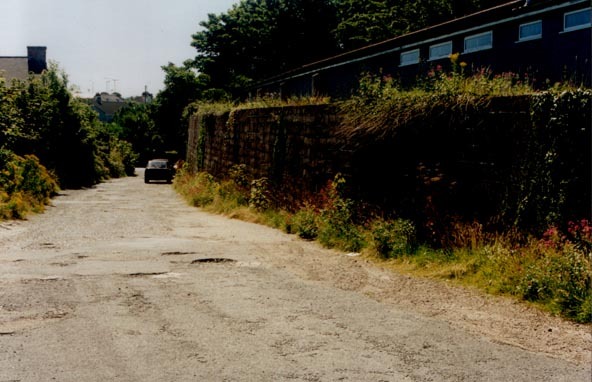 Platform (left) and Goods Yard Approach – North side of embankment that used to hold the carriage shed (right). Copyright: Robert Smith. 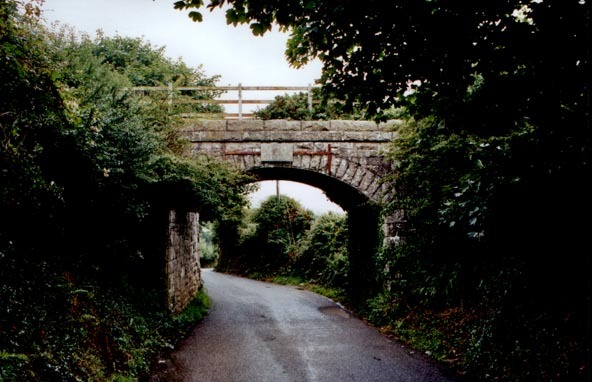 Road overbridge between Helston and the Cober Viaduct. Copyright: Robert Smith. Cober Viaduct. 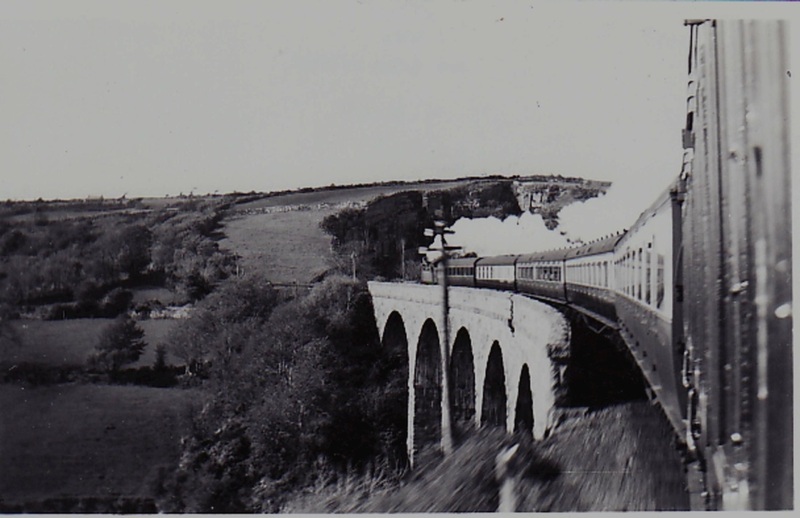 4750 crosses Cober Viaduct on 7th May 1955 with the 17.30 service from Helston. Copyright: the late Jon Wood Collection. The Cober viaduct lies in the valley beyond this overbridge. 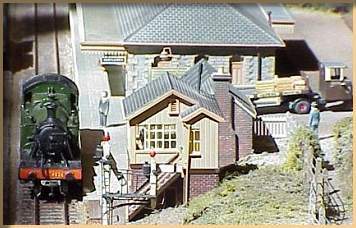 Here we see 4566 hauling a train ‘Gwinear Bound’. 8th May 1957. Copyright: the late Jon Wood Collection. This time standing on the bridge pictured above we see 4566 with another long train, this time coasting down the grade heading for Helston. 8th May 1957. Copyright: the late Jon Wood Collection. May 1961. 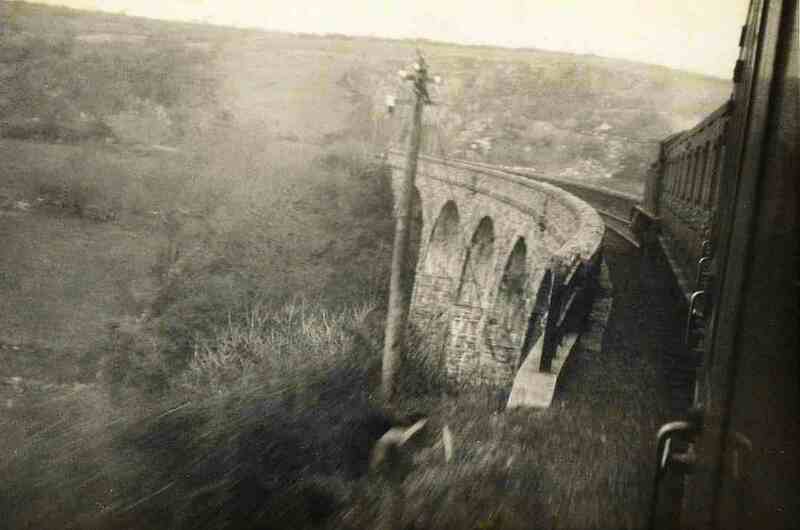 A train has just crossed the Cober viaduct and passed under the above bridge. Next stop (probably) Truthall Halt. Copyright: Mike Roach. A lovely view taken by Rod Garner in the early sixties, before the demise of steam, showing the Cober Viaduct well lit by the sun. A small bridge can be seen midway between the edge of the page and the end of the viaduct – it is this bridge from which the two pictures above were taken and from which the train is emerging in the view above. Don’t confuse the farm track clearly seen with the course of the railway which is up to the left. Copyright: Rod Garner. 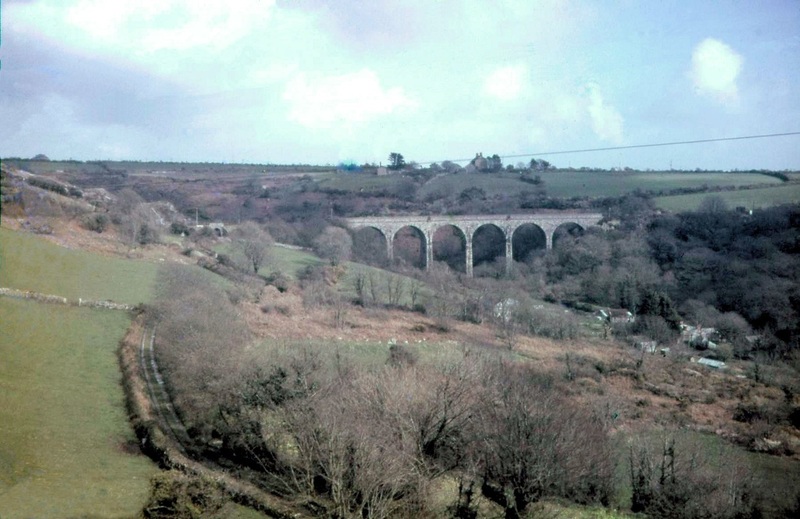 Cober Viaduct. The locomotive will be putting its feet down now for the climb to Truthall Halt. In the distance, beyond the telephone pole, can be seen the quarry from which stone for this structure was obtained. Copyright: Sid Sponheimer. 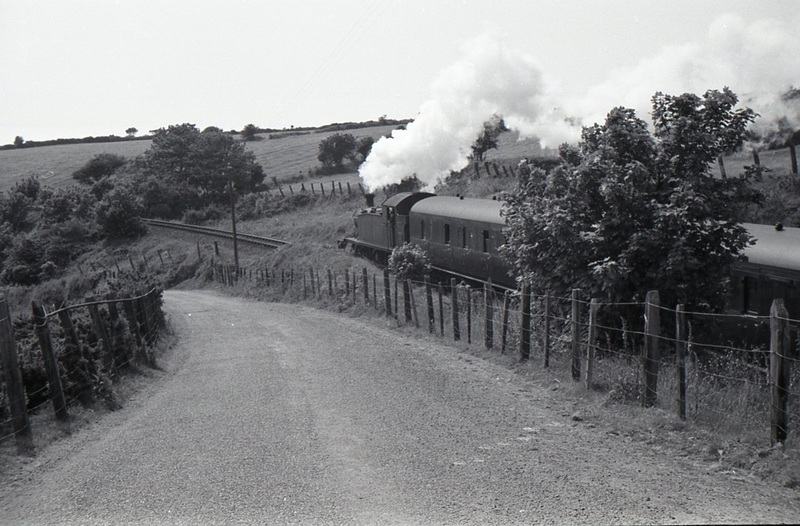 Nobody waiting at Truthall Halt as this train rushes through in March 1962. Fine views of the surrounding countryside and a seascape are to be had both from a train and, indeed from this bridge. Copyright: Sid Sponheimer. 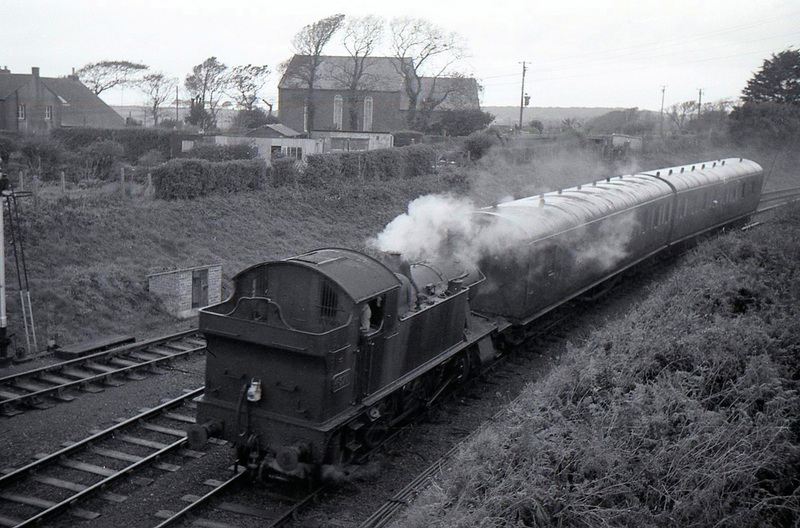 A ’45’ (Could be 4566) on a standard ‘B set’ approaches Nancegollan from Gwinear Road. 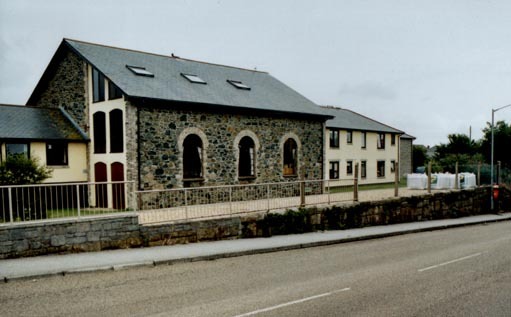 The large Methodist Chapel in the background provides a reference forthe location of this shot. Copyright: Mike Roach. 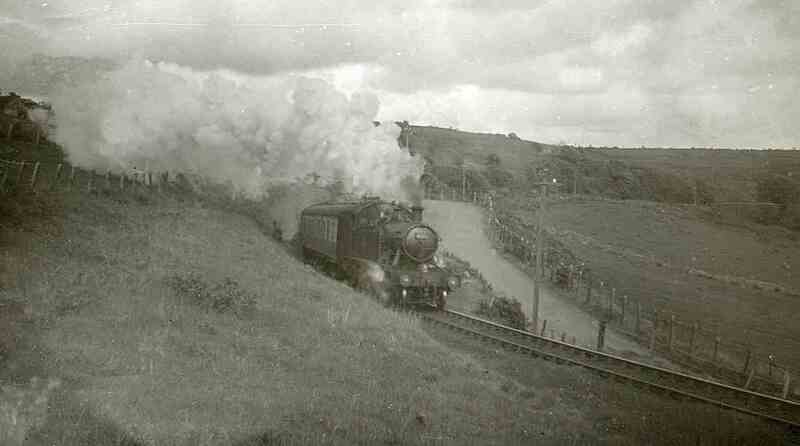 4566 leaves Nancegollan with a large train bound for Gwinear Road. Helston trains were strengthened on Flora Day. 8th May 1957. Copyright: the late Jon Wood Collection. 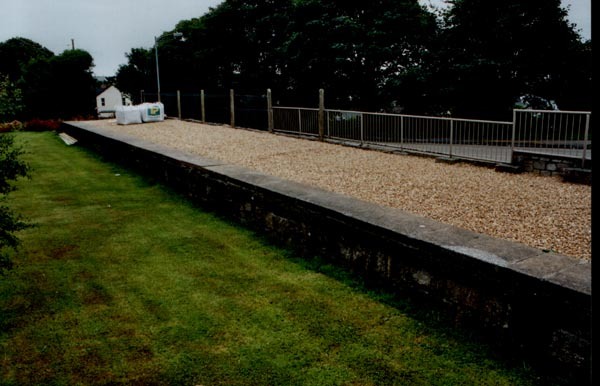 Keith Gowen’s 3 mm scale layout of Helston….